With God you will have hope. And with hope comes inspiration. Inspiration will not only open your heart but the doors to new possibilities. Twenty years of hiding a childhood of abuse, Jillian Davenport begins to divulge the pain and heartache exposing her obscurities eventually finding her faith for healing and forgiveness. 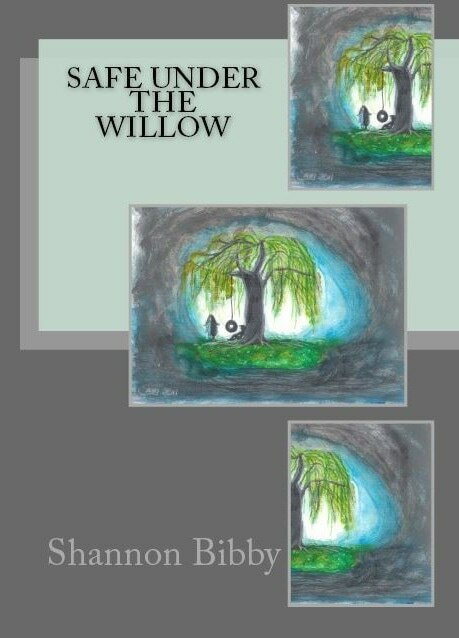 Safe Under the Willow was released September 18, 2015. It is available paperback POD and Kindle e-book version. Click here to purchase your copy on Amazon! Writing is a passion I have had since I was a teenager. This site is a way to express my thoughts through blog posts making it available to anyone who chooses to read. My personal work is also a part of a ministry of spreading the Truth of Jesus Christ as our Savior. I absolutely love writing a Bible study, of sorts, for the reader to ponder and reflect on. Relying on the Holy Spirit as guidance, I pray everything I write reflects the heart and Truth of God. I genuinely adore my family. They are the beat of my heart, the breath of my lungs, the spring in my step. Domestic Violence is a passionate subject for me. I have created a page packed full of info regarding the silent truths of abuse. As a child growing up in this type of home, I will explain the depths of pain it causes, the effects, and how to find healing after years of anger and hurt through a variety of ways including blog posts, Safe Under the Willow, and studies of Scripture from the Bible. 2 Corinthians 1:3-4 ESV "Blessed be the God and Father of our Lord Jesus Christ, the Father of mercies and God of all comfort, who comforts us in all our affliction, so that we may be able to comfort those who are in any affliction, with the comfort with which we ourselves are comforted by God." I believe this is part of my purpose here on Earth and I strive to help all that I possibly can. It's time to end the silence and un-mute our voices because every story matters. With God, all things are possible! I'm honestly in awe of the path for which He has laid out for me. He is the only Sovereign Lord who knows what is best for each of us.